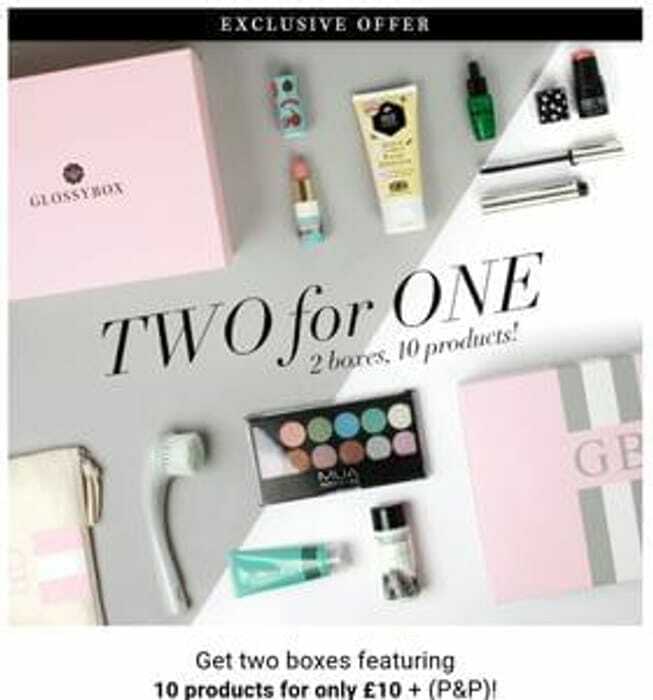 2 For 1 offer at Glossy Box!! No code just follow link. If you've never bought a beauty box from Glossy Box, here's your chance. Glossy Box are giving 2 boxes at £10 + P&P of £6.50. Note both boxes arrive separately hence the charge. You get 10 beauty products to try. My fav in this box is the MUA eyeshadow palette and the face brush. You get their October Box and their anniversary August Box. So you can gift one to your bestie and keep one for yourself!! We have 17 GlossyBox deals and 55 GlossyBox discount codes on Latest Deals. What do you think of this GlossyBox deal?